Finished in 22:29(Official Chip Time); 7:15 pace; No PR; 11 seconds short. There were another 208 runners in the 10k for about 1,000 total runners. 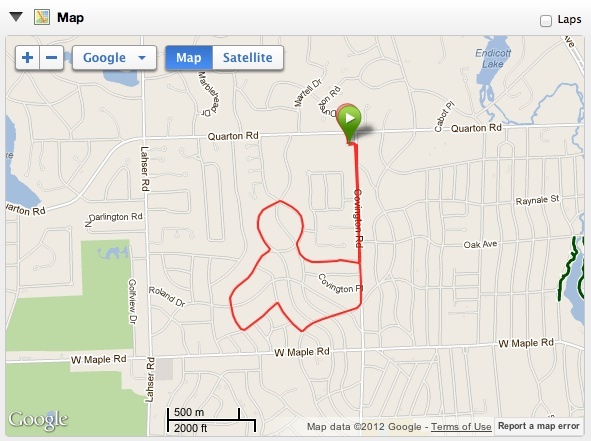 Overall a fun race for charity in a nice neighborhood with good organization. The weather conditions could not have been better for a mid December day starting the run in the mid 30's. At the time of this blog post, $47,044 was raised for the charity for this event. Registration was very simple. I completed a paper form and scanned it to the race director. Because I was sponsored by Renewal by Andersen of Detroit, it made things very simple since they had most of my information already. 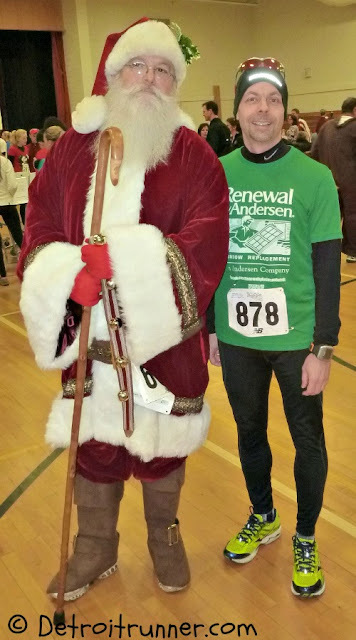 Thank you so much to Renewal by Andersen of Detroit for sponsoring me for this race. I had a great time and very much appreciate it! 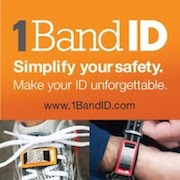 There was also an option to register online as well to make things even easier. In regards to packet pick up, the race had two options. 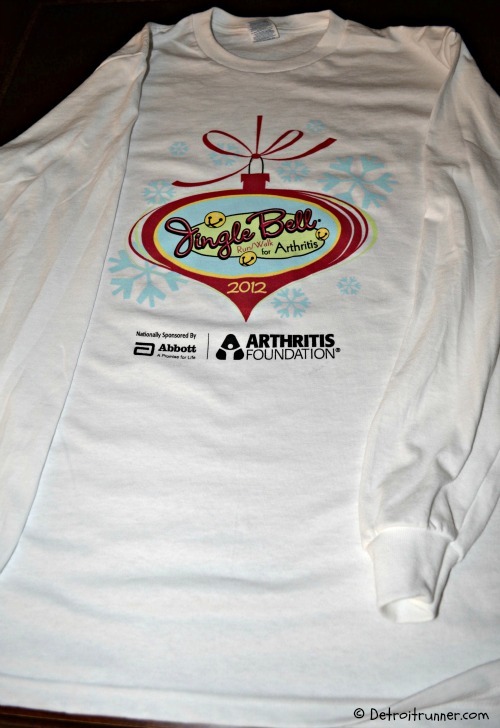 You could pick up your race packet at the Arthritis Headquarters in Michigan located in Troy. I decided to use this option since it was only a couple miles from my office and it was the day before the race. It was easy to find with signs to get to the pickup and there were three volunteers there helping give out packets. I gave them my name and was all set. You could have realistically just came that morning though. There was plenty of time and parking to get to the race, pick up your packet and take it back to the car. The race registration was at Covington School so it made things very easy. It was also very organized in the registration area. If you were registering that day, there was a separate line from actual packet pick up. Being in the school also included using the bathrooms inside - a big plus in my opinion. In addition, it was nice to be able to sit around and chat waiting for the race to start. There was also a mini expo going on as well. You can see Brandon working away! In addition, there was a silent auction as well which was a nice touch and a great way to earn money for the charity. I mostly talked with several runners I know and also talked to Brandon from Renewal by Andersen of Detroit. We also had an opportunity for a picture before the race with Brandon, our sponsor for the race. The start area was right next to the school parking lot. This made things easy as well since everything were so close. This is one of the advantages to going to a smaller race. The announcers said it was time for the 5k/10k and we made our way out to the starting line. As you saw, there was almost 1,000 people running/walking the event. Because of the race being much more of a "fun" run, I made my way almost to the front of the starting line so I would not have to go around runners. Just before the start, we took a quick picture as well. There was plenty of room for all the runners to line up and then we were off. Starting. Pretty close to the front. I really liked this course. It's in a neighborhood next to the school. I went to Birmingham schools growing up and had been in the neighborhood before. It's quite a nice area to run. The course was basically an out and back somewhat with a loop in the middle. If you chose to do the 10k, then you had to do two loops. 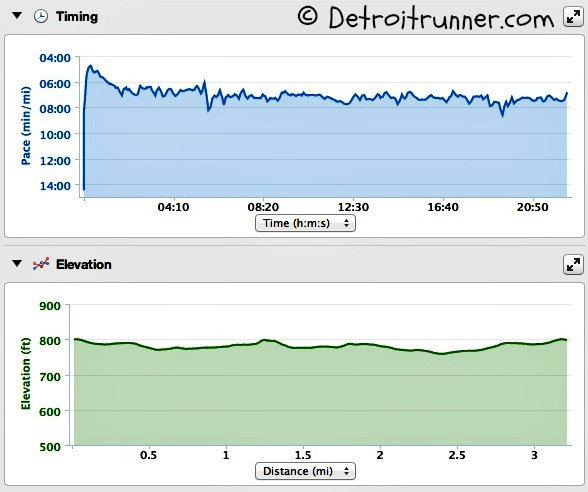 The course was relatively flat but had some slight hills built into the course so it was not pancake flat. It gave a nice challenge at the very end of the race. There were several police on the course to help with traffic control so it was mostly a closed course and I only saw one car actually on the course itself. Pace and elevation; under 6 pace in beginning; yahoo! I went out extremely fast and thought to myself, "wow, my lungs feel on fire." then Matt passed me and said hey, you're going about a 5:50 pace. No wonder my lungs felt so bad. I've never seen an under 6 pace before. 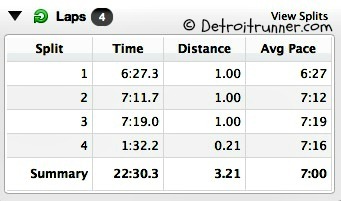 Unfortunately, I could not keep that pace for long and dropped back for a 6:27 pace on the first mile. That's the fastest mile I've ever ran. Of course, as with 5k's I tend to just go as fast as I can for the entire race but slowed each mile finally finishing with a 22:29 time. Overall, I was really happy with the time given my PR is not far off from that. As a bonus, I placed second in my age group which was my goal. 15 medals for 15 races this year(including 2 AG) Also, the course was a bit long but sure beats being short. One aid station was set up on the course about half way through it(that I saw). This meant if you ran the 10k, you passed it twice. A little light on the aid stations but then it was only a 5k and I didn't even take any water for the entire race. There were three volunteers for the aid station as well handing out water. The finish was the same spot as the start. If you ran the 5k, you turned back into the parking lot to finish. If you ran the 10k, you did a loop and went back on the course again. Again, an organized area. There was water set up for runners as you finished. From the finish area, I made my way into the school again as several of us were talking about our race and times. From here, there was plenty of food to eat such as apple slices, banana halves, oranges, coffee from Biggby, soup from Qdoba, and lots of bread to pick from. It would have been nice to see some bagels but there was plenty to eat so it worked out fine. Sorry Matt - caught you with food in your mouth. I even got a picture with Santa! For your race entry, you received a long sleeve cotton shirt. You could upgrade to a tech shirt but at an extra cost. 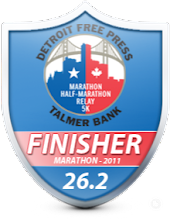 In addition, you got a timed course(bib timing), course support from the police, and finish line food and water. You also got jingle bells to place on your shoe to run with. I was lucky enough to place in my Age Group so I also received a small medal for the achievement. If you place first, like Matt and Janet, you also received a bag from New Balance which looked nice. Overall, it was clear they have done this race before. The parking lot attendants were helpful. The timing company was organized, the race had water ready for everyone, the food was ready to go when we got back. The only thing I would comment on is the Age Group Awards time. The race started at 9am but the awards ceremony was not until 10:30am. That meant most of us that won an award had to wait for over an hour to get our medals, but of course, they needed to wait for the 10k finishers as well. At least it was inside so we could stay warm but it was a bit of a wait compared to most races I've attended. Would I do this race again? Yes, absolutely. 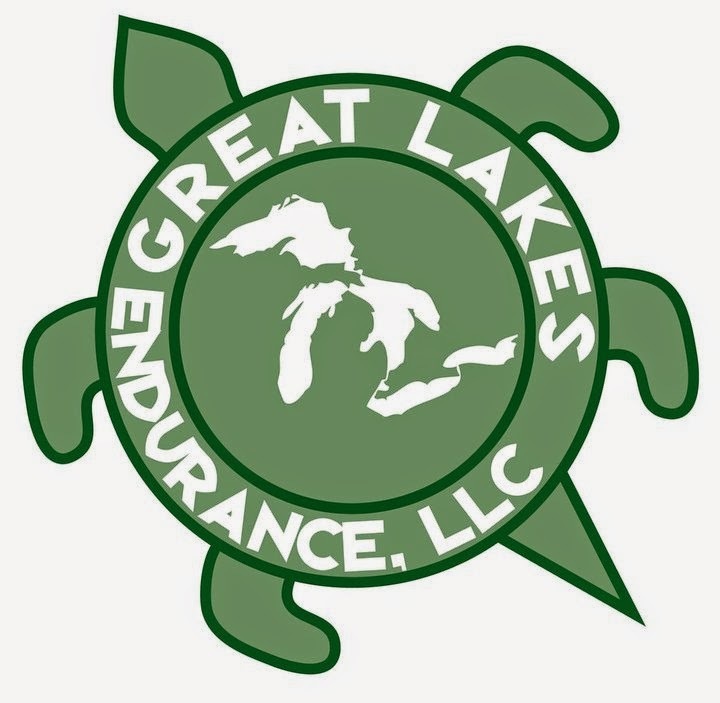 The location was great, I loved the course, it's for a good cause and frankly, I've never raced in December and this is a great option for some cold weather racing. Four of us with AG medals! I want to once again thank Renewal by Andersen of Detroit for sponsoring me in this great race.